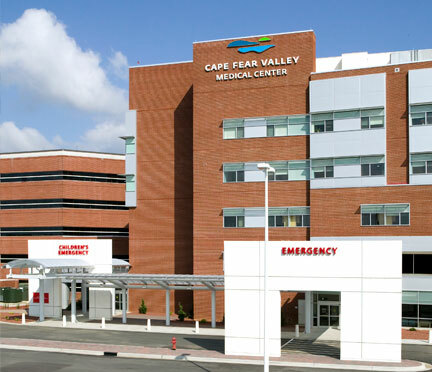 Cape Fear Valley Medical Center provides a 44-bed NICU. This is a Level III unit, the highest level possible and Cape Fear Region's only Level III NICU. It consists of 21 intensive-care beds, plus a 23-bed Intermediate Care Unit right next door. Medical supervision is provided by four physicians who are all board-certified in neonatology. The Neonatal Intensive Care Unit at Cape Fear Valley Medical Center provides comprehensive care of sick newborns. It is staffed 24 hours a day by experienced nurses, respiratory therapists and neonatal nurse practitioners. All care is supervised by board-certified Neonatologists. Moderately sick infants are cared for in Level II units, which also provide services as in a Level I nursery. Level III nurseries (NICUs) are equipped to provide comprehensive care to the sickest of newborns. This is the level of care provided at Cape Fear Valley Medical Center. In addition to direct patient care, Level III units participate in research and educational activities. New technologies developed for newborn care are usually initially evaluated in Level III units. The commitment of a hospital to provide Level III neonatal intensive care is quite significant in terms of equipment and personnel. Infants who are critically ill require around-the-clock supervision by staff who are skilled in providing respiratory and cardiac support. There are four full-time Neonatologists at Cape Fear Valley Medical Center who care for infants in the NICU. These Neonatologists are board-certified, indicating that they have completed approved training programs and passed the certifying examinations. Neonatal Nurse Practitioners are "physician extenders" who are very experienced and provide day-to-day care of the sick and convalescing infants. Respiratory Therapists assist in the management of newborn breathing problems. NICU Nurses are a special group of nurses trained to care for critically ill infants and their families. Learn more.